Margaret Walker Center at 601-979-3935 or mwa@jsums.edu. The Fannie Lou Hamer National Institute on Citizenship and Democracy will recognize the founders of the Fannie Lou Hamer Institute during the 2017 Fannie Lou Hamer Humanitarian Awards Luncheon to be held Thursday, April 20, 2017. The honorees will receive the Fannie Lou Hamer Humanitarian Award in an 11:30 a.m. ceremony held in Ballrooms A & B of the New Student Union on the campus of Jackson State University. The founding members of the Fannie Lou Hamer National Institute on Citizenship and Democracy are a coalition of academics who promote civic engagement and popular sovereignty through the study of the struggle for civil rights in the United States. In recognition of 20 years of service, The Fannie Lou Hamer Institute will also be recognized. Founded in 1997, the mission of the Hamer Institute is to promote positive social change by examining the tools and experiences of those who struggle to create, expand, and sustain civil rights, social justice, and citizenship. Named in honor of Fannie Lou Hamer, a Mississippi civil rights leader who was instrumental in forming the Mississippi Freedom Democratic Party, the Institute’s vision is to nurture a generation of young people engaged in and committed to discourse on civil rights, social justice, and citizenship. The Fannie Lou Hamer Institute @ COFO invites you to support its 2017 Humanitarian Awards Luncheon by becoming an event sponsor by purchasing an advertisement to be included in the Special Edition Fannie Lou Hamer 20th Anniversary Souvenir Journal, or by purchasing tickets to attend this event. All proceeds from this event will be used to continue the Institute's vision. PLEASE CLICK HERE TO DOWNLOAD A REGISTRATION/ AD PURCHASE FORM. Jackson, Mississippi – Black History 2017 is a cooperative project between the Fannie Lou Hamer Institute @ COFO, The Institute for Social Justice and Race Relations, Gallery1, The College of Liberal Arts, Departments of English and Modern Foreign Languages, and History and Philosophy, that will celebrate history, culture and artistic engagement during this Black History series. The Fannie Lou Hamer Institute @ COFO, The Institute for Social Justice and Race Relations, The Department of English and Modern Foreign Languages, and The Department of History and Philosophy present: Fences: African Americans in Major League Baseball. JSU Reading Community Book Talk: In this session of the 2016-2017 academic year, The JSU Campus Reading Community will discuss the book, Student Resistance to Apartheid at the University of Fort Hare: Freedom Now, a Degree Tomorrow (Lexington Books, 2016) featuring the author, Dr. Rico D. Chapman. On May 11, 1967, a civil disturbance erupted into violence following a confrontation between a crowd of more than 200 people and Mississippi law enforcement resulting in the untimely death of Benjamin Brown, a young Mississippi Civil Rights activist. Today, nearly 50 years later, we pay tribute to Brown’s life and legacy. Special guests include: Arthur Brown, Benjamin Brown’s brother, Jan Hillegas, COFO Worker and friend, and others. 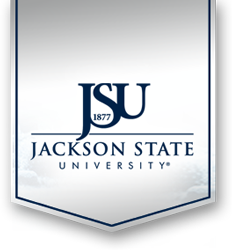 JSU Reading Faculty Book Talk: In this session of the 2016-2017 academic year, The JSU Faculty Book Talk will discuss the book, Student Resistance to Apartheid at the University of Fort Hare: Freedom Now, a Degree Tomorrow (Lexington Books, 2016) featuring Dr. Rico D. Chapman, Associate Professor and Interim Chair in the Department of History and Philosophy and the Director of the Fannie Lou Hamer Institute @ COFO: Human and Civil Rights Interdisciplinary Education Center at Jackson State University. In addition, there will be an exhibition unveiling of photographs titled “Nelson Mandela: His Life in the Struggle.” The exhibit chronicles the life and times of Nelson Mandela and were purchased by Dr. Chapman from the Robben Island Museum in Cape Town, South Africa. The Fannie Lou Hamer Institute @ COFO, The Institute for Social Justice and Race Relations, The Department of English and Modern Foreign Languages, and The Department of History and Philosophy present: Fences: African Americans in Major League Baseball featuring Curtis Granderson. Join us on Thursday, February 9, 2017 at 6:00 pm the Fannie Lou Hamer Institute @ COFO at 1017 John R. Lynch Street, Jackson, MS 39217. Miss Black Mississippi USA and The Fannie Lou Hamer Institute @ COFO will host a forum: “Saving Our Girls.” This will be an event for middle and high school girls and their mothers. The panel for this discussion have a vested interest in helping young women become effective leaders, build a higher self-esteem and develop self-worth. Please take the time to complete the following survey regarding your most recent visit to the Fannie Lou Hamer Institute @ COFO. Feedback on your experience is a vital part of ensuring that the programs and events hosted by our institute is as effective as possible. Please click the link below and share your thoughts on the various aspects of our programming and/or events. Remember, your feedback is extremely valuable, so please let us know what you really think. Miss Black Mississippi USA, 2017, The Fannie Lou Hamer Institute @ COFO and the Institute for Social Justice and Race Relations will host a Parent Town Hall Discussion on Thursday November 10, 2016, at 6:00 p.m.. Recently, the Mississippi Department of Education cited Jackson Public Schools for violating 22 of its 32 accreditation standards, including high school graduates not meeting state standards, numerous fights, late-running buses, unsafe buildings, unqualified teachers and a problem with disciplinary decisions by principals. In Jackson communities, violent crime is at 80 on a scale from 1 to 100. Property crime is at 81. What role can parents and community members play to become change agents for our communities? This Town Hall will be an open event for parents to discuss with Jackson Public School officials, City Administrators, and Law Enforcement how to alleviate the issues of our school districts and communities. Join us on Thursday, November 10, 2016 at 6:00 pm at The Fannie Lou Hamer Institute @ COFO at 1017 John R. Lynch Street, Jackson, MS 39217. The evening event is FREE and OPEN TO THE PUBLIC. Refreshments will be served. Wednesday, November 9, 2016 at 6:00 p.m., The Fannie Lou Hamer Institute @ COFO will host a film screening of “The 30th of May.” For over 100 years, the city of Natchez had two Memorial Day celebrations—one black and one white. By the mid-1990's, the white celebration faded away, while the black celebration known as the "30th of May" continued to march on. Virtually unknown outside of the region, this annual event is passed down from generation to generation giving evidence that the roots of patriotism run deep in the Mississippi River towns of Vidalia, Louisiana and Natchez, Mississippi. Using animation, archival and aerial footage, and interviews with veterans, organizers and participants, the "30th of May" documentary brings to life the remarkable untold story of this African American-led patriotic tradition in the Deep South. It's a tradition like no other on the country.